Bear’s are famously reckoned to always be keen on honey. But, at times, we step across that ursine odd freak that would be even keener on building a stash of cash rather than the sweet treat. Cash Cave is known as an online slot game that is based and themed on a bear that loves money more than anything. 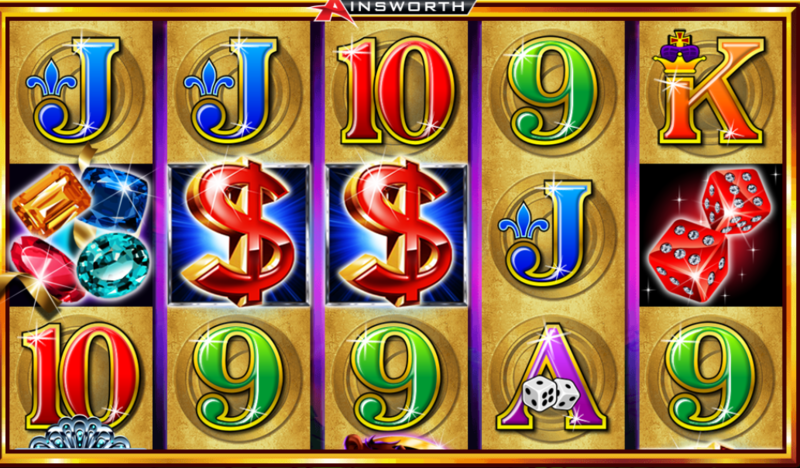 This Ainsworth Game Technology developed slot game is a five reel slot with further three rows. It goes up to one hundred paylines. The reels in this slot game spin against the bear cave’s backdrop and gives way to some of the funkiest green and purple lighting effects. All of this is framed by the ornate gold rim. With a significant backdrop and an amazing theme, Cash Cave holds an amazing RTP which equals to be 94.04%. Such a remarkable return-to-player rate gives this slot a defining edge, which in the process also gives you different ways to win. It doesn’t end there, as Cash Cave offers some interesting sound features and bonuses that eventually allow you to come back. In the base game, the maximum win stands at 20,000 coins, but if you play Cash Cave free games and free spins, the prize does not disappoint you. With both of them, you stand a chance to win 160,000 coins and that too in a single spin. Keeping in mind the theme of Cash Cave, anyone can stand in and have his/her slot into it. The backdrop certainly gives you the feel of where the game is taking place and what’s on the stake. It’s quite evident that the bear that holds the key in this game is a wild symbol. In Cash Cave, the symbols that hold high values are a pile of gold bars, a pair of dice, and a collection of gems. The huge red dollar sign which eventually gives you 200 coins for a mere five of a combination, and last but not the least; a stack of cash, are two more symbols of high values. The lower values that are present in Cash Cave are 9, 10, J, K, Q, and A. In a game where the bear acts as a wild symbol as read earlier under this point, he happens to substitute for all the others, but not the scatter. Why? It is because the scatter is represented by the logo of Cash Cave, and also holds the key to the main feature. The outlooks of the game are really impressive and keep the interest maintained in the game. The bonuses in themselves are quite a thing that attracts the players to come back again. As a matter of fact, with Cash Cave’s high Return to Player (RTP) rate, more and more players have come back playing because of the game’s dynamics and bonuses. More than just its appearance, what really attract players are the special features that are attached to the free spins round. This slot game might not have a progressive jackpot but it would be pretty unfair to say what all it doesn’t offer. 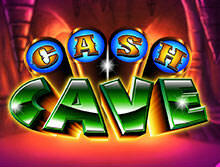 Cash Cave offers a whopping 100X prize for the total bet you have placed. It only happens when you have succeeded in getting five scatter symbols anywhere on the very slot. Free Spins: If you land 3 or more scatter symbols, you are bound to win 10 free spins. And, once you push and start using these free spins, you will automatically enter the bonus round of the game. However, while you are in the bonus round, the heart of the game ‘bear’ will make an appearance in reels 2 to 4. If you’ve hit the winning combo with that bear, it will end up paying a multiplier of 2X to 8X of the bet you have lined up. This increases with each and every free spin. The Bear-Effect: It seems that the bear is everywhere in the game, but that’s not a bad thing to reckon with. Players do get excited when they see the bear multiplying the lined bets in free spins for them. The bear symbol also serves as a replacement to other regular ones in quite the same way that the wild ones do. Cash Cave by Ainsworth Game Technology offers something different in an industry that is a little crowded by other usual slot games. This can be acknowledged especially with respect to the graphical style and the dynamic yet enhanced free spins feature that the game has to offer. As a complete set, the theme of this game has and represents a set of dynamic symbols which evoke casinos, gems, cash, and importantly, a bear that, with every aspect, pretends to represent the trading world of the modern age.